Hearing aids come in a wide range of shapes and sizes, all catering to an even wider range of specific needs for the hearing impaired community. Whether you’re concerned about progressing symptoms or device visibility, this comprehensive guide will help you decide which model is right for you. Speak to a specialist today for expert advice on hearing aid options and pricing. Choosing the model of your hearing aid will be one of the biggest decisions you have to make. 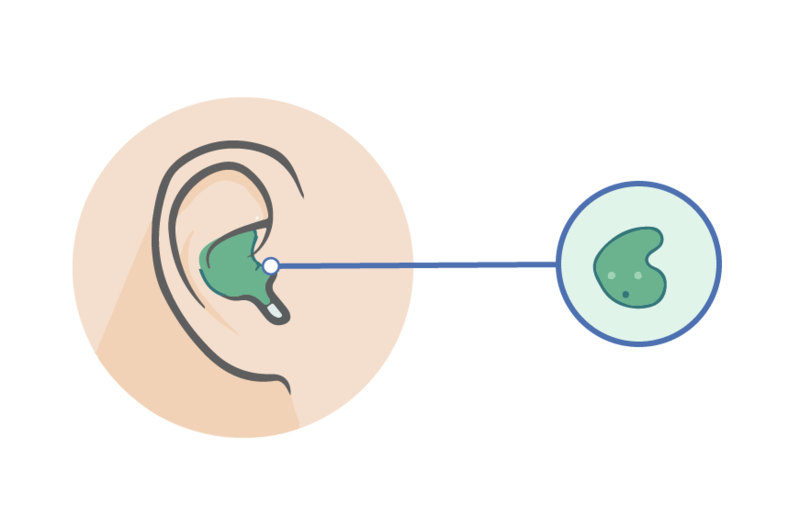 You’ll need to know how each style of hearing aid model can differ, and which may suit you best. Fortunately, these styles are designed and named in the most comprehensive way possible, to suite a variety of needs. The only problem you might have is deciding what works best for you. To help with that, we have put together everything you’ll need to make an informed decision, right here. The “Behind-the-Ear” hearing aid is a popular model – for good reason. Its flexible body, non-intrusive fit and wide range of functions make the BTE model a go-to device for a lot of people experiencing hearing loss. It has a simple mold that is custom made to fit in your ear, but the main body of the device, with all the electronics, fits around your ear. It’s an easy way to treat any level of hearing loss, from mild to severe. The BTE model is by far the easiest to handle, has an excellent battery life and is suitable for all ages. The downside? Compared to other models, the BTE is a bit bulky, making it easily visible. The mold is also known to cause a build up of wax in the ear. However it is easier to clean compared to other types with molds that fit in the ear canal. While BTE models are popular, RIC models are even more popular because they don’t entirely block your ear canal, allowing natural sound to enter your ear. RIC hearing aids are made for those with mild to moderate hearing loss – they aren’t entirely proficient for severe hearing loss. One benefit of RIC hearing aids is you don’t have to get a mold of your ear, so there is no uncomfortable feeling of walking around with ‘plugs’ in your ear all day. Instead, you’ll shop through a variety of sizes to find the right one for you. You can also pick from a variety of colors, which is great for those looking to have it blend in with their hair. Unlike the previous two models, ITE hearing aids don’t have an externally visible part of the technology. These handy devices, much like in-ear headphones, go right in your ear with no external wires or tubes. You’ll need to get a custom fit for your particular ear, but this means you can benefit from a minimalist style. The ITE device is suitable for those with mild to severe hearing loss, which means you can get it tailored to your particular needs. One thing to note- if you are getting this for a younger child, be prepared to make regular changes as the child grows, to maintain the same degree of comfort. If you’re worried about the visibility of your hearing aid, ITC models are even more discreet than ITE hearing aids. These nearly undetectable hearing aids fit the natural shape of your ear without the ‘plugged’ feeling. A specialist will fit them for you via a customizable mold, allowing natural sound to travel through as well. Due to the small size however, ITC hearing aids have a shorter battery life and can be quite difficult to put in on a daily basis, particularly for elderly users. In some cases, patients with severe hearing loss have also reported unwanted audio feedback when using this style of hearing aid. That’s why it’s essential to speak to a specialist who can help you decide if this style is right for you. CIC models are the least visible of hearing aid styles, and this is their main benefit. They are virtually invisible to others, short of having someone look directly down your ear, and are often equipped with a small handle or cord for easy removal. However, despite the cosmetic benefits of CIC hearing aids, they do come with a few disadvantages. For one, their battery life is shorter, only lasting about three or four days. Additionally, they require more frequent upkeep due to natural wax build up, and some ear shapes prevent certain people from using them. Nonetheless, if your priority is having a minimalistic and subtle hearing aid, then CIC is the way to go. When it comes to actually getting a hearing aid, having options is ideal, but all that information can become a bit overwhelming. Directly comparing the key differences between each style will help you focus on what works best for you, taking into account your lifestyle, preferences, and degree of hearing loss. The table below lays out the key identifying factors of each hearing aid style worth considering, to give you a better understanding of your options. Not all types of hearing aids are created equally when it comes to treating hearing loss. 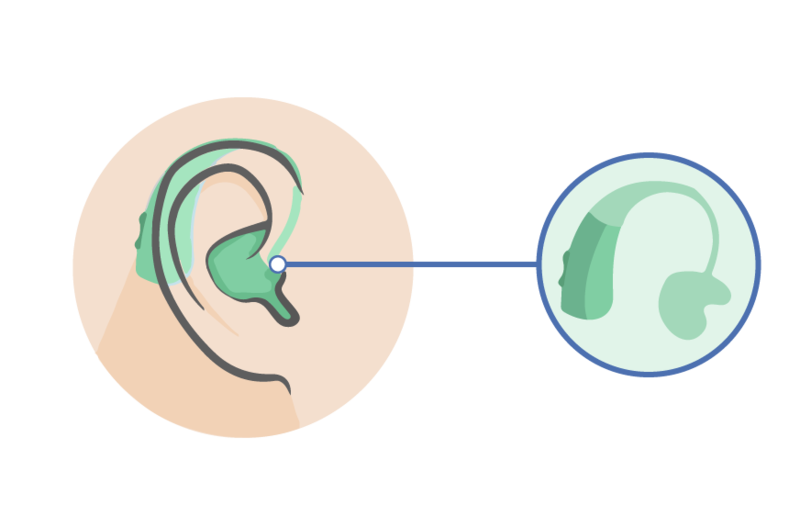 Some models are specifically designed to treat only mild hearing loss, and won’t be as effective on more advanced cases. Likewise, some heavy duty hearing aids are designed for severe hearing loss, and therefore might be considered excessive if you can still hear in quiet environments. There are free audiograms (at test which tells your hearing range) you can take online but an audiologist is best placed to conduct this test for you and tell you the implications for choosing a hearing aid. How visible do I want my hearing aid to be? As you saw from the descriptions above, the size, shape, and visibility of hearing aids varies widely from model to model. Whether you’re self-conscious about getting a hearing aid, or simply want to remain stylish, how visible you want your hearing aid is an important factor. Certain types of hearing aids are naturally more discreet than others. Thankfully, regardless of the model you choose, many now come in alternative designs and colors, giving you the option of a hearing aid which also reflects your personality. What is my budget for hearing aids? The average price of hearing aids varies widely due to the different prices across different models. If you want to keep costs low, finding an affordable model might be the way to go. However, if you’re making hearing aids a financial priority, more expensive models can seamlessly improve how you interact with your surroundings. The more expensive models come with additional features which you may or may not need, based on your lifestyle. So be sure to ask what you are paying for. Will my hearing loss get worse over time? 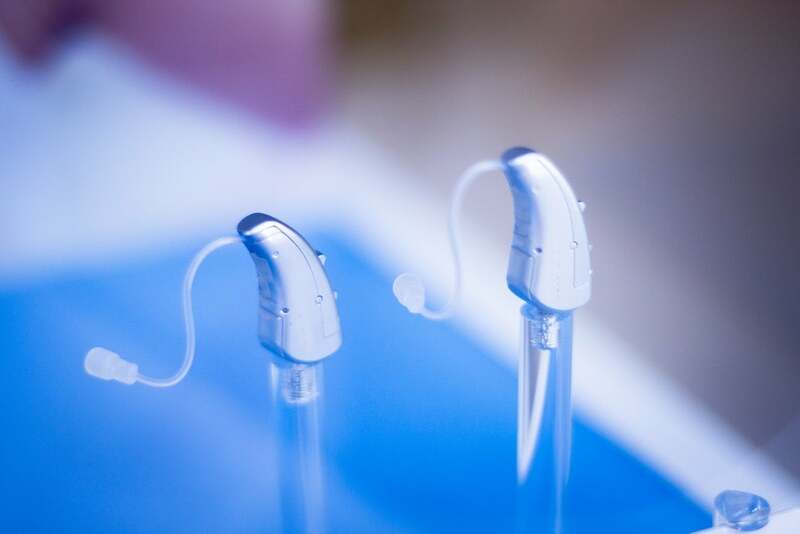 This may depend on the underlying cause of your hearing loss; whether the problem lies in the parts of your ear that detect sound (conductive hearing loss) or the parts responsible for transferring the signal to the brain (sensorineural hearing loss). If your hearing loss is progressing at a quick pace, getting a hearing aid that can be calibrated to your needs over time is very important. How easy is it to care for my hearing aid? If you are a new user of hearing aids, research suggests that you will soon have better knowledge and skills at taking care of your hearing aid in comparison to experienced users. Nonetheless, all hearing aids come with a handy guide on how to best take care of them to prolong their use and it is always a good idea to have some of these processes demonstrated to you. What specifications should my hearing aid have? Features such as a directional microphone, which will help you converse in a noisy environment, and a T-coil, which makes conversations over the telephone easier, are very useful, and common in many models. Many users like the option of a rechargeable battery and a remote control to change the volume and other settings of the hearing aid. This is handy and saves the trouble of reaching up to your ears to fidget with the hearing aid. Are there additional special features I should look out for? There are continuous innovations in hearing aids and many cool features such as motion sensors and bluetooth connectivity now available. Be ready to pay extra for these features but we will cover this more comprehensively in a later post. The decision to get a hearing aid is not one you can make by simply asking yourself a few questions. Like all healthcare products, getting an expert opinion from a health professional is imperative to a comfortable, affordable fit. Reach out to a specialist today and you’ll have crystal clear hearing before you know it.